Wordless Wednesday: Comfy or Not? I am not sure, but I remember from John and Kate + 8 that she said she loved them. I hope to give them a try some day! Yes, she did love them! You know … it’s all relative! Our first couple of trips we tried these out on our “long days” – usually to cover all the walking in EPCOT. Waaaay better than nothing! We enjoyed having the last minute option, when our 4 year old was really tired. The last trip we brought our own (we fly to WDW) cause we brought a 1 year old, and I think that was my preference. It’s so true! It’s great that that they are there if you need them! Plus, lots of space! If your exhausted from being in the parks all day anything is comfy. So true! Plus, lots of space! 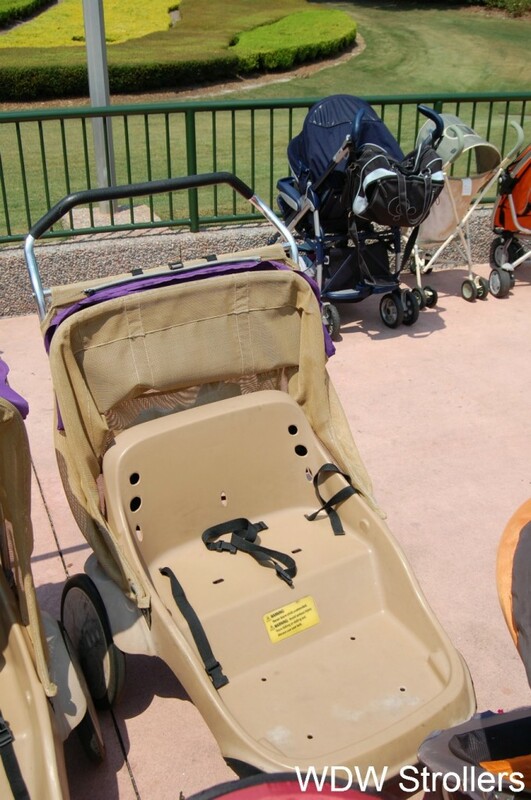 It’s a stroller in Walt Disney World! My kids don’t hate them and they’re pretty easy to maneuver. I’m betting they’re a breeze to clean up too. Easy to clean up and lots of space for the kids to spread out too! My kids would’ve loved it in WDW, surrounded by the magic!!! Follow WDW Strollers on Twitter! Like WDW Strollers on Facebook! Sign up and we'll send you our best tips for FREE!